Pumpkins aren’t just for lattes and pies or carving jack-lo-lanterns anymore. This seasonal favorite is also infused in the latest beauty products because it’s loaded with antioxidants, beta-carotene, vitamins A and C; packed with anti-inflammatory benefits and even boast of natural UV protectors – making it the ideal skin care ingredient. 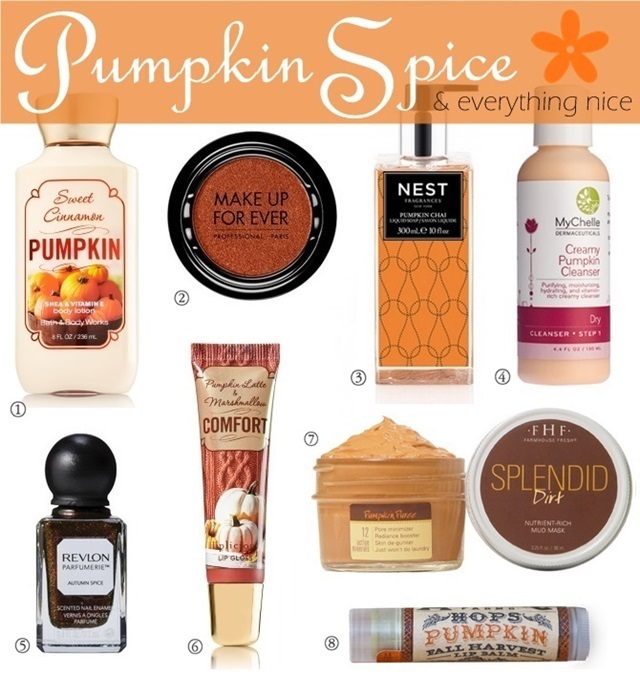 Here are some pumpkin-inspired beauty products to try while your sipping that PSL. I have yet to try this amazing pumpkin spice latte! Beauty products with a yummy smell that are good for your skin, I'm all in. I love the pumpkin scent. Hmmm...the Revlon nail polish looks enticing!!! I love pumpkin scent too - so cozy. Thanks for stopping by!